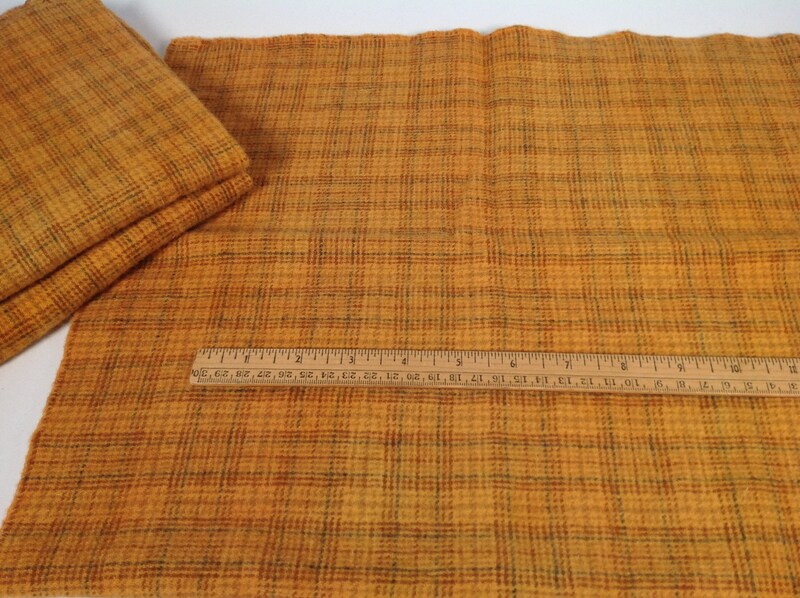 A bright sweet potato orange, this listing is for one fat quarter yard, approximately 16" x 28". 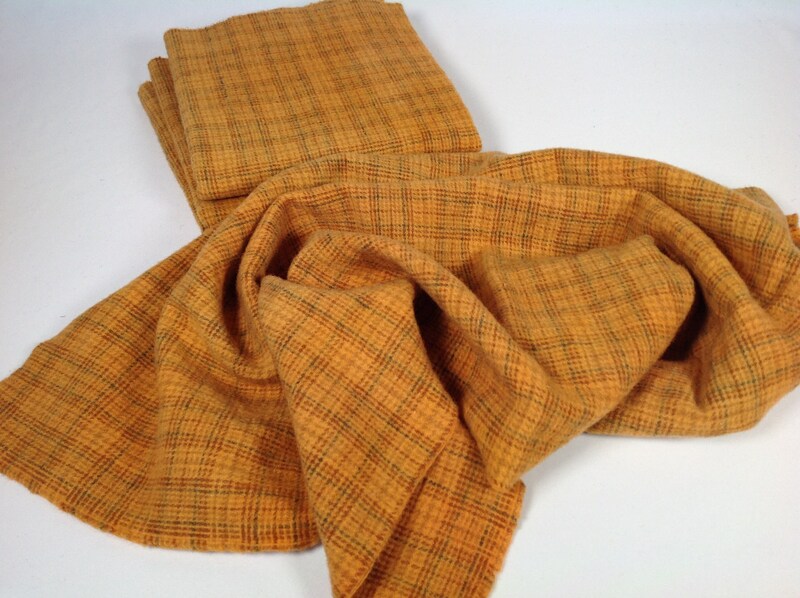 I have hand dyed a plaid wool fabric with a very bright orange recipe. A golden orange, bright enough to bring a little pizzazz to your stash! Great for pumpkins, falling leaves, vegetables, fruits, animals, gardens, fields, flowers, mountain ash berries and more. Use for making pin cushions, sewing cases, stuffed pumpkins, and many other fall projects. 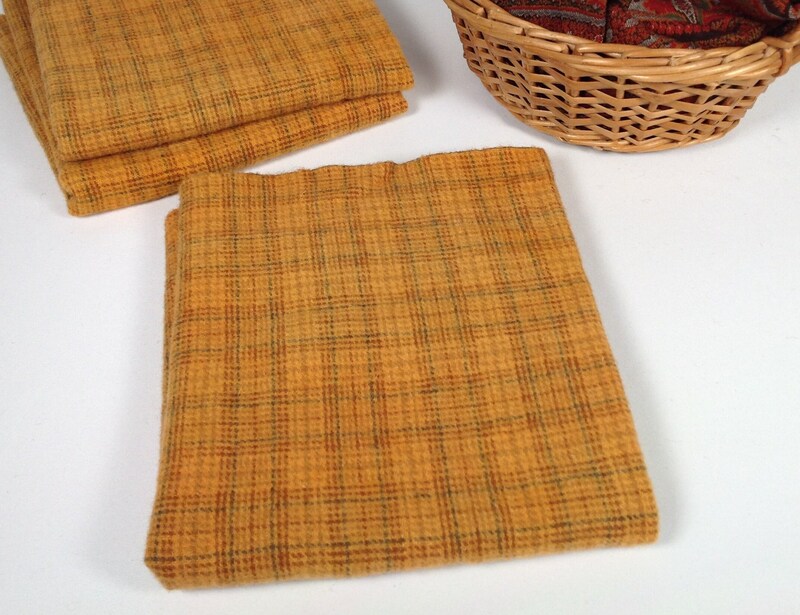 This 100% new wool fabric is a medium weight, for rug hooking, suitable for #6 cuts and wider. Just 3 of these available. Colors may look different on your monitor. Please refer to the color description above. Time of day and indoor or outdoor can give a totally different look. The basket of paisley wool is intended to give you a color comparison. Designs In Wool studio is a smoke-free, pet free environment. I order from this store a lot to make various Hats and mittens. Love their material.